LINCOLN WOODS FUN RIDE 2014! End of Season Sale Bikes! As you can see, the Fun Ride is serious business again this year. We at RI NEMBA, and the shop, seriously hope you bring food for the RI Food Bank. We also hope you have a seriously awesome wicked good time. 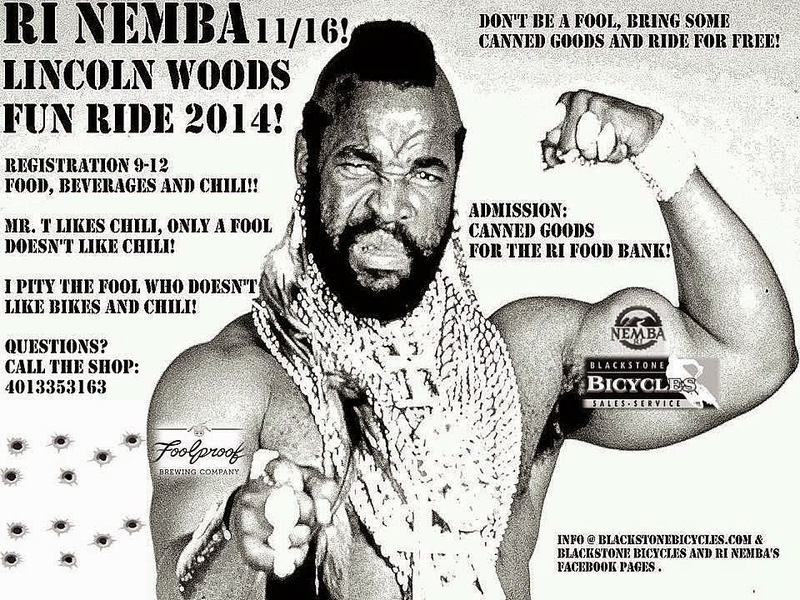 Don't be a fool, bring some food! Take route 146 to the Breakneck Hill Road exit (AKA rte 123). Head East (that's away from where the sun sets, towards where it rises)! After you pass the Jehovah's Witness Church the entrance is on your right. Go through the covered bridge and hang a right, you'll figure it out from there. Registration is from 9-12. Chili, hot dogs and beverages to follow. Bring a helmet, a bike and an appetite! Rumor has it that the fine folks from NBX bikes will be there with a bunch of demo bikes. Foolproof brewing will be supplying the beverages and Stacy will once again be cooking up a ton of chili. Hot dogs will be cooked, bikes will be ridden, mistakes will be made and everyone will have fun. Seriously. Ah yes, the other stuff... There are still a few bikes that need to get out into the wild this season. Peruse the list below and give the shop a call if anything strikes your fancy! All of the bikes below are guaranteed to make you super cool. Way cooler than that time the Fonz jumped that unicorn over Snake River Canyon. I'm serious, they are that cool. 2014 Salsa El Mariachi 3. Size medium. MSRP $1700 - On sale for $1200. Seriously, buy this poor bike. It's begging to be ridden. 2014 Salsa Warbird 3 55cm. MSRP: $1700 - On sale for $1275! I adore my personal Warbird 2, enough said. 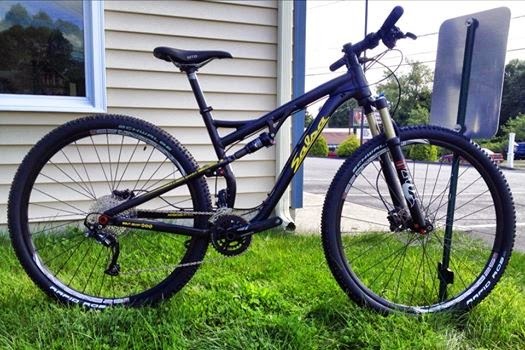 2014 Salsa Spearfish 3, size medium. MSRP $2750. On sale for $2200!